A couple of months back, YouTube announced details of a mammoth site redesign, which has been available to some users for a few weeks now. And this morning, the Google-owned firm announced to partners that it is migrating all the videos onto the new site today. The basic changes are these: The videos are bigger, the star system has been dispensed with, and the comments take up less space, with text and video comments sitting together. 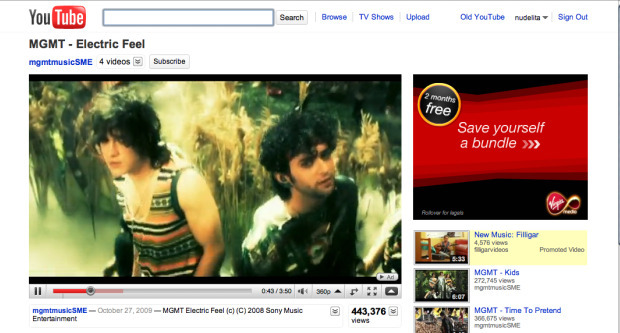 There’s an AutoPlay On/Off button, and a clever little add-on that allows viewers to add their next video to the queue. Whether this rejig will solve the eternal conundrum of YouTube remains to be seen. What can be done to monetize one of the Web’s most-visited sites? It costs the firm $700 million a year to store and serve all the footage–and last year’s revenue was estimated at $240 million. But does it really matter any more? Google is rich as Croesus, but even the fact that YouTube is the brand leader for watching stuff online can’t answer the question.